The Latin Mass is an immensely powerful magical rite and was popularly seen as such until recent memory. It was not uncommon to find all manner of folk belief attached to the power of the Mass and its officiating priest in 19th Century France. Masses might be said for the weather or for good fortune. who do know it would not say it for love or money. None but wicked priests dare to perform the gruesome ceremony, and you may be quite sure that they will have a very heavy account to render for it at the last day. No curate or bishop, not even the archbishop of Auch, can pardon them; that right belongs to the pope of Rome alone. The Mass of Saint Sécaire may be said only in a ruined or deserted church, where owls mope and hoot, where bats flit in the gloaming, where gypsies lodge of nights, and where toads squat under the desecrated altar. At the end of the rite, the victim’s name would be said aloud and the target would then slowly waste away to death. 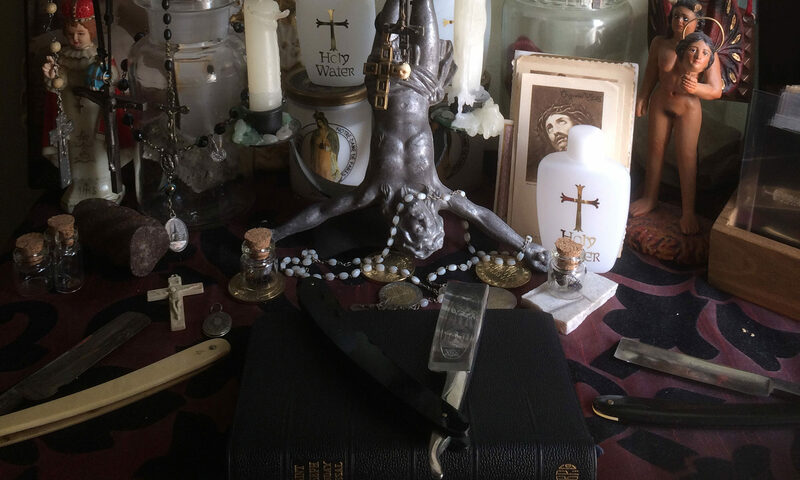 These varied applications of the Mass from everyday to the malefic serve to illustrate that to some, the forces attached to the Mass could be treated as elemental and even susceptible to direction. In the past 100 years, especially in the anglophone world, the qualities of liminality and the sublime attached to the Mass have been relegated to a kind of performative allegory in some communities. Especially among the clergy, there is a tendency to relegate the power of the priest to evoke and engage with the numinous as something to treat with an almost embarrassed deference rather than a more pervasive power to engage with the liminal. Whether it is the influence of Protestantism or the cumulative effect of religious life receding to the fringes for most Western Europeans, there’s a marked difference in perceptions of the priest as a conduit for engagement with the sacred compared to what was seen in the 18th and 19th centuries. I find that within Traditional Catholic circles there is a persistent and pervasive understanding of the Mass as a sacred rite dependent on proper form, language, and intent. The Latin mass is a potent example of communal ritual for the evocation of the numinous with the Priest as a mediator between worlds and the altar rail representing the border of an interstitial space. This structure alone should ring bells with anyone as to the historicity of the priest as Magician, The act of the mass is nothing less than a piercing of the veil through which the sacred manifests directly in the world. Next PostNext Diabolism, grimoires, and poisons on The Spiritual Alchemy Show.